It’s never been a better time to come along for the ride, as the 36ers strive to go one-game further towards the NBL Championship. Following their heart breaking grand finals loss, the Sixers are hungrier than ever to achieve the ultimate glory. 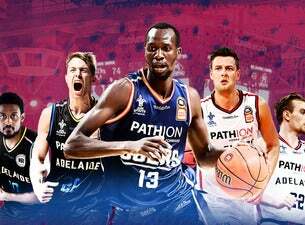 Be there at Titanium Security Arena, as Adelaide’s own Boomers, Nathan Sobey, Daniel Johnson and Anthony Drmic, lead a talented squad, which includes the return of the 2017-18 Best Sixth Man, Ramone Moore. Under the guidance of 2016-17 NBL Coach of the Year, Joey Wright, the new squad are set to delight fans with their exciting style of basketball. Be there when it all begins 11.10.18.